A couple of things. Amy turned two on wednesday. She is growing up so fast. We bought her a scooter as she is always trying to keep up with the older kids. She can't work it, so we just push her along. 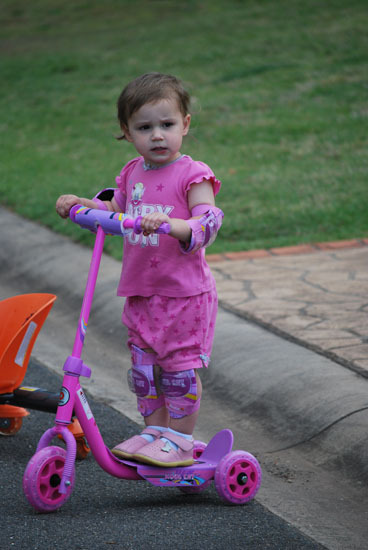 I think the elbow and knee pads make her happier than the scooter ride. And some newsletter layouts for The Scrapbook Establishment. 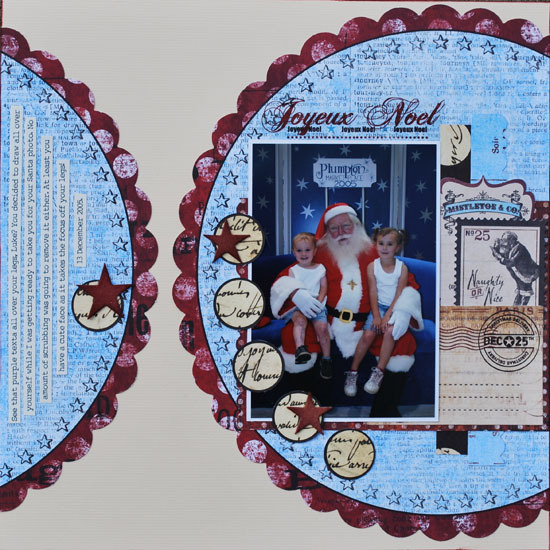 This week I got to use Pink Paislee Mistletoe & Co. Yummy vintage Christmas papers. 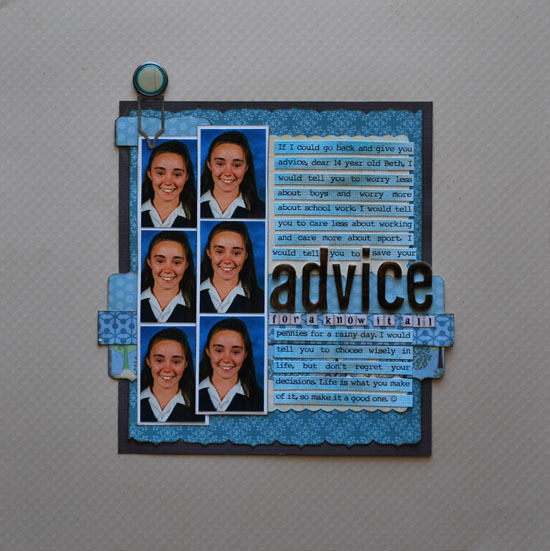 A layout for the Journal Challenges blog. This fortnight's prompt is "Listen up, because this is important!" A layout share. This one is in this week's newsletter from The Scrapbook Establishment. I used the Little Yellow Bicycle's Zinnia range. Well, the school holidays are almost at a close. 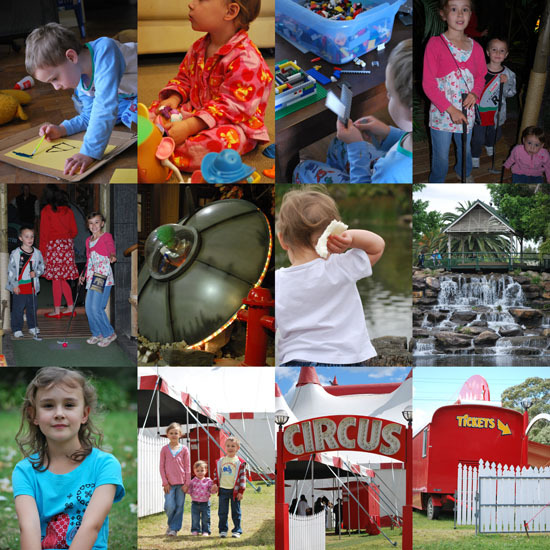 This holidays have been fantastic! We have done heaps of stuff. Usually we are either sick or it rains or it is summer (ugh!). had a lazy pyjama day where we painted, played potato heads and lego. We showered to get back in our pyjamas. played indoor mini golf where I got no good photos. Next time I think we will go outdoors. went to the movies and saw Up. bought the patterns for Halloween costumes! went to Nurragingy and fed the ducks and played in the grounds. Luke, of course, almost fell in the water. got a Scrapbooking Memories Master's email to say I had been shortlisted. went to a playdate with 5 other kids from Luke's class. I have 2 layouts to share today. The first is for the cybercrop happening over at The Scrapbook Establishment. It was my pleasure to set the inspiration challenge. 1. 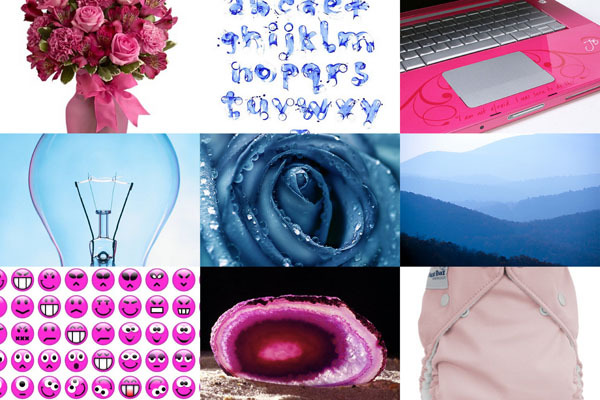 Your layout must be either pink or blue or a combination of both pink and blue. You may use black/white or a hint of another colour if need be. 2. You must include a tag on your layout. Mine is tucked away, but it is still there. 3. You must have a repeating element on your layout. I repeated the use of fabric and butterflies. I had fun making the fabric flower, they seem to be pretty popular at the moment, but I think it takes up too much room. Still, it is nice though. 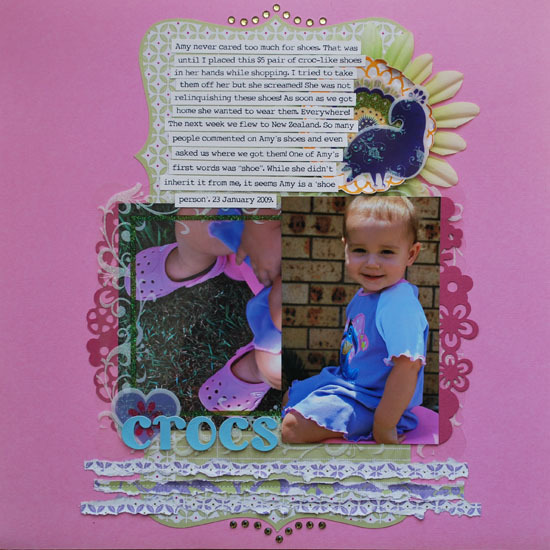 The other layout I have to share is in this month's Scrapbook Creations. 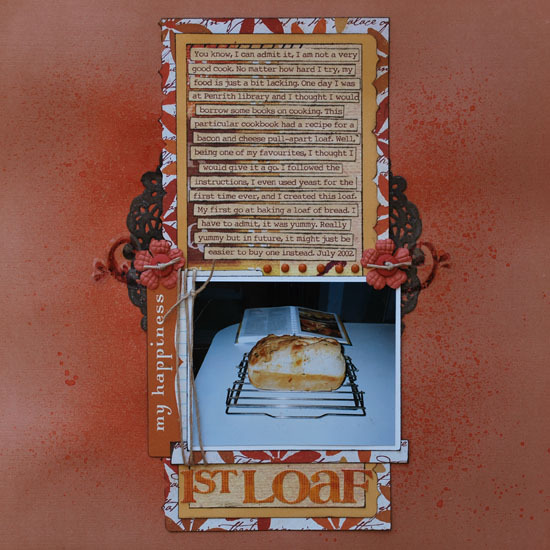 It is in Ngaire Bartlem's Top Ten feature. The topic was 'It's all about me'. I didn't think too much about the content in the photo until after I had scrapped it so I was unsure whether it would be published or not, yes, it is a ruski alcopop in the photo. Oops. I drew the heart and cut it out of an old pizza box, because lets face it, I have plenty hidden in a wardrobe. 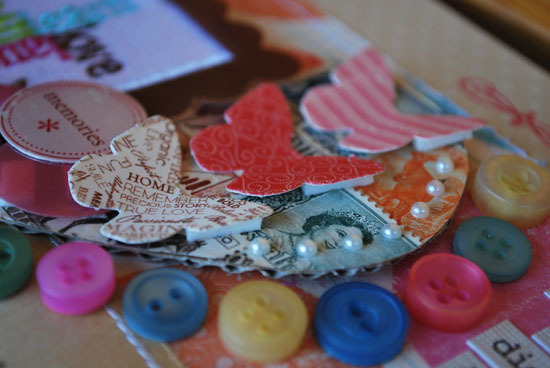 I covered it with some old postage stamps. FYI the best place I found to buy stamps was on ebay. I think one pack I bought was like $3 for 200 stamps. I love them for their vintage feel and the colours in them. I also used one on my Master's entry for the picture. Very handy as a little embellishment. Another layout, this one only took me 5 days to complete. And I wonder why I never get much scrapping done. Truth be told, I love the creating more than the finished product. 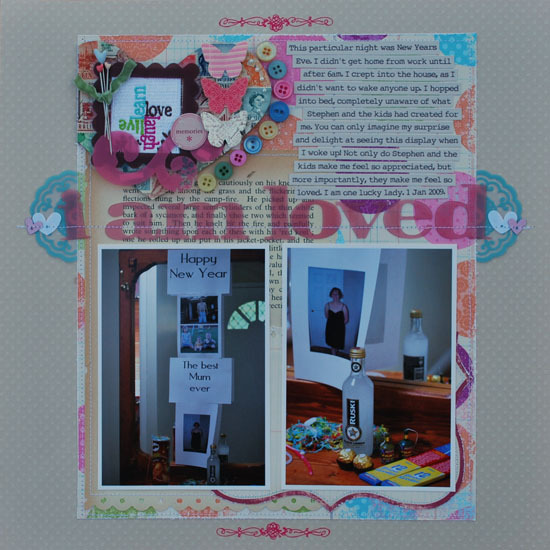 I did this layout for this fortnight's prompt over at Journal Challenges. I am totally digging symmetry at the moment. Another thing, I don't own any glimmer mist. However, I do own a mini mister spray bottle and some food colouring. It's not shiny like the real stuff, but it works for me nonetheless.